Windows 9 will be named Windows 10. Was Windows 8 so bad that they needed even more distance from it by skipping a version number? Weird... especially when Windows 10 looks like a really good version of Windows 8.1. Windows 7 and 8 were both very good improvements for audiophiles. What is new about Windows 9 10 that will be of interest to audiophiles? Has it been long enough since the release of Windows 8 to have any significant audio related upgrades? Maybe Microsoft thinks "Windows 9" would sound "inadequate" compared to Apple's OS 10. They are thinking, "we can go to 10 just like them." 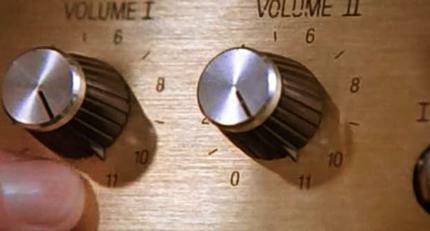 Yeah, but can yours go to 11? any beta versions available yet? There are direct links to the x86 and x64 iso files in the comments section of this article. Burn them to a CD/DVD to make an installation disk. Windows 10 is using Argon now for mapping and retrieval. Do you mean Azure - their cloud stuff? Triple pane man triple pane .... /. I setup a windows 64 bit pro on an older laptop to see if if sounds good using my LH Labs geek Out 1000 through the Sennheiser HD650 Cans with my better cable. The laptop is setup with a nice SSD installed by be as well as a USB 3.0 Express card in the slot. I optimized the OS and software. I use an external HD connected t o the USB 3.0 port of the express 54 MM card and the Geek Out is connected to a USB 2.0 port. The final results are in, this sounds very good and I am uisng a 2010 Corporate type laptop. Cool, thanks Lizard King. How did you optimize the OS for audio? Any tweaks you care to share? Did you disable the Win10 'spying' functions? If you use a laptop, do NOT use one with a touch screen as they emit a lot of RF noise. Replace the SAT HDD with A SSD drive. Install the windows 10 OS and the player of your choice, IE J. River Media Center. Run the Audio for your Dac in WASAPI mode. Disable system Restore and also disable the swap file. Disable indexing, write caching and prefecth/superfecth. Download and install Fidelizer and run it in extremist mode. Always keep your music files on an external HDD. If you have a mac laptop, use teh thunderbolt inferace. If you are on windows, connect the HDD with a good USB 3.0 cable and connect the Dac to a USB 2.0 cable. Cables do make a big difference. Upgrade your RAM to 8.0 GB. If all this has been done, in J River, make sure you load songs into memory and give it exclusive access. Not computer savvy so how would you do this ? "Disable system Restore and also disable the swap file. Disable indexing, write caching and prefecth/superfecth."